The Ontario Regiment RCAC Museum brings military history to life with the occasional Saturday soiree honouring several different chapters in heavy combat vehicles, from the Second World War to the Cold War. 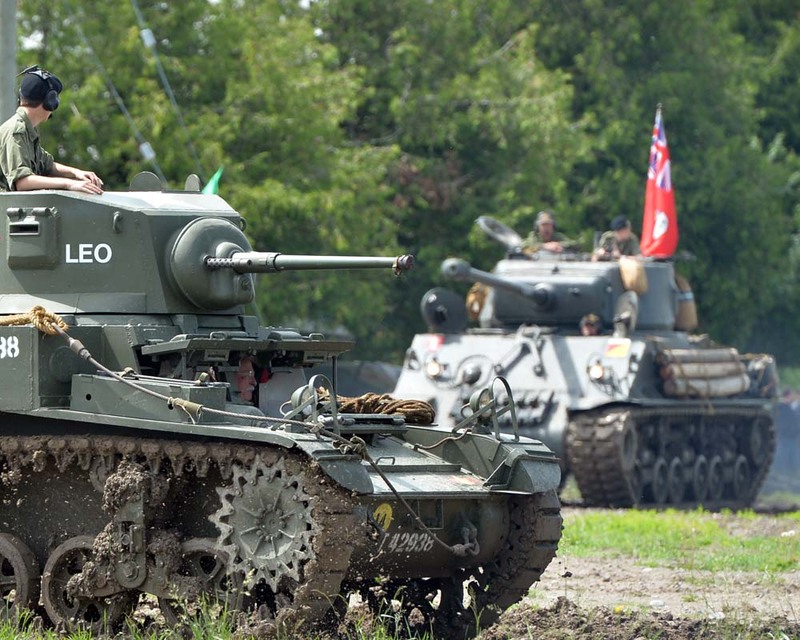 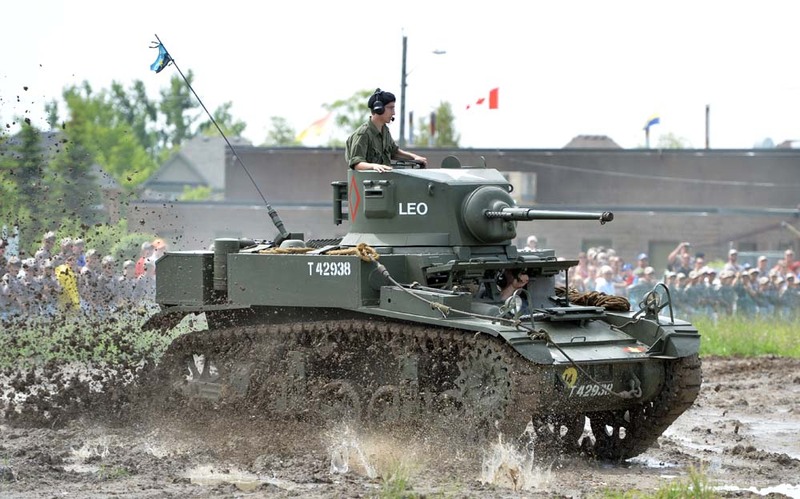 Saturday, June 13 was WWII and the next event is July 11 featuring the UN/Nato armoured vehicles. 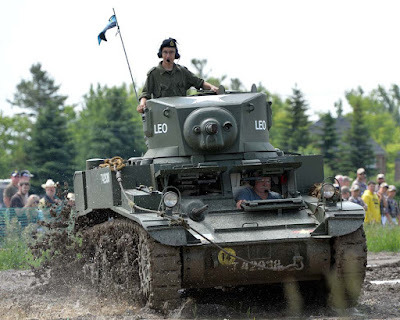 Tanks for the memories! 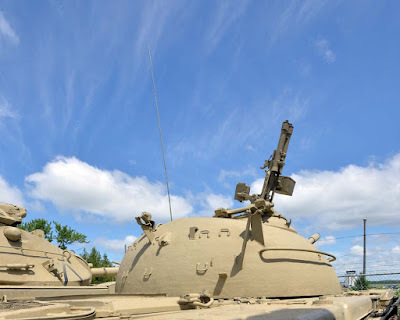 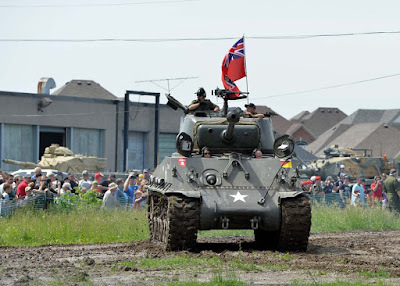 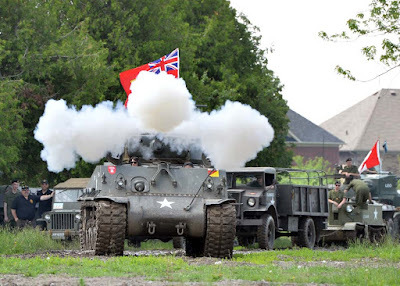 Anywho, the special demonstrations continue into Summer 2015 as every month the museum features live demonstrations of tanks and armoured fighting vehicles from a fleet that comprises the largest collection of operational military vehicles in Canada. Acquisitions of military vehicles has averaged two per year for the past several years. The museum is run by highly trained volunteers and only open Friday to Sunday in the summer season (from May until mid-November, noon to 4 pm). 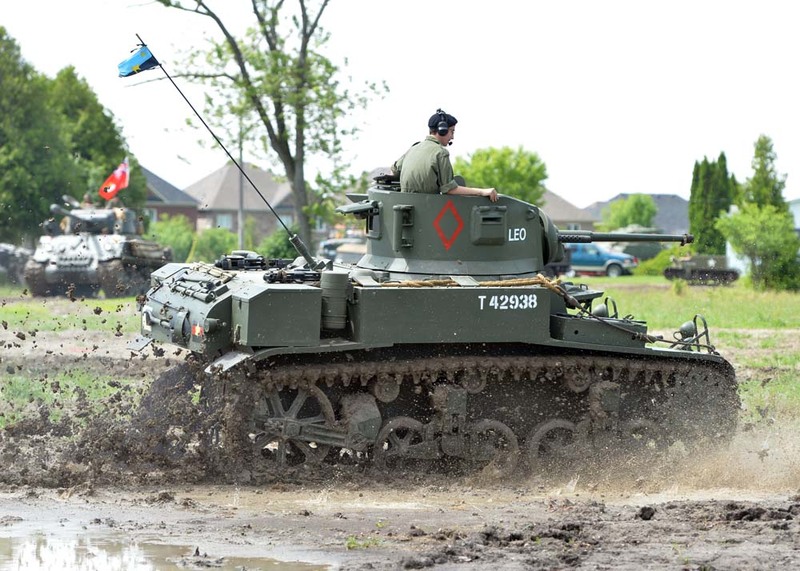 Entrance is 5 bucks and parking is free and Tank Saturdays helps raise funds for the museum. 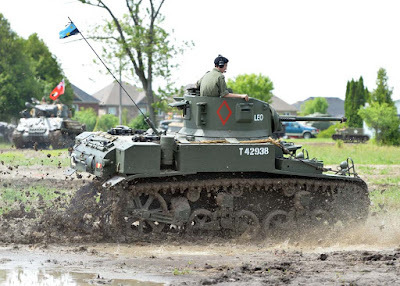 Tank Saturdays 2015 beginning Saturday, 9 May 2015: Doors open 10:00am to 4:00pm. "You won't have a better opportunity to see or hear these restored operational military vehicles up close and in person!" Military history buffs can see the tanks take some spins around the fields, churning up a spray of water and mud, or just grass and twigs, and then see them blast off a couple of rounds of high explosive shells (minus the high explosives, damn). 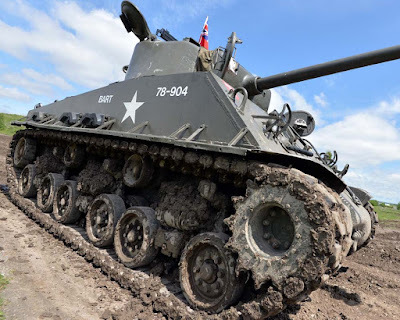 Live demonstrations of the M4 Sherman, M24 Chaffee, M3 Stuart, M8 Greyhound, Universal Bren Carrier, jeeps trucks and more wowed visitors, especially when they fired the blanks. I find it funny that their tanks are named, one of the Shermans is named Bart and the other is named Fury - which was based on the Brad Pitt movie and used in the promotion of the movie. 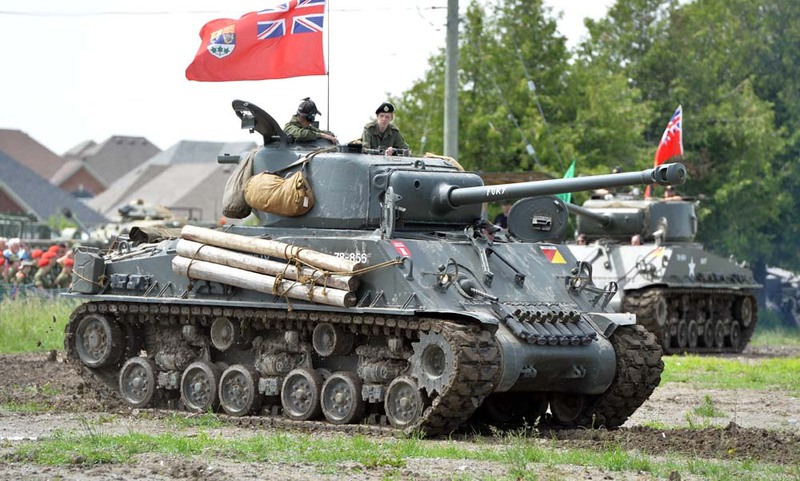 Thanks to Jeremy Blowers, vehicle section president for allowing me access to Bart! Posted by Joe Hamilton. See more tanks after the jump.